While it won't necessarily make up for the loss of the former Empress Hotel, the northeast corner of Yonge and Gould will be a lot prettier by 2015, when construction is slated to be finished on Ryerson's new Student Learning Centre. Although the project has been in the works for years, new renderings reveal what should be a stunning addition to downtown Yonge Street and the university's campus. 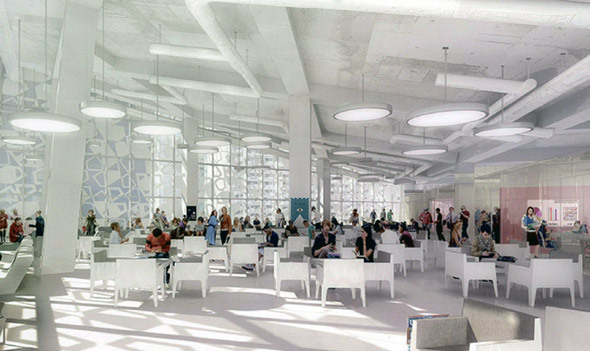 The seven-storey structure â which will mercifully hide the concrete block that house Ryerson's 1970s-era library behind it â is full of glass and open spaces, and really looks nothing like what one might expect of a library, right down to the fact that it has no books. Designed by the Norwegian firm Snohetta in conjunction with Toronto's Zeidler Partnership, the idea was to create something more akin to a salon, where intellectual and social activity will co-mingle. 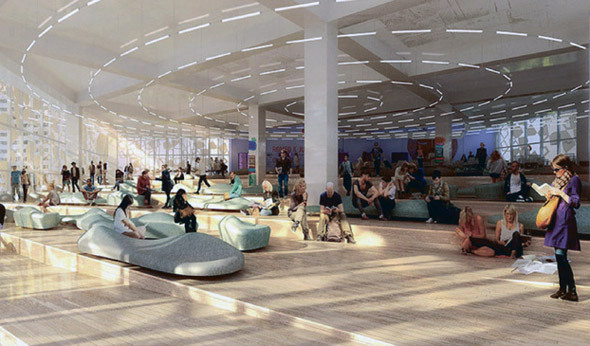 There will be 2000 study spaces, a public square on the second level, two floors of retail, and a variety of open lounge-like study spaces. 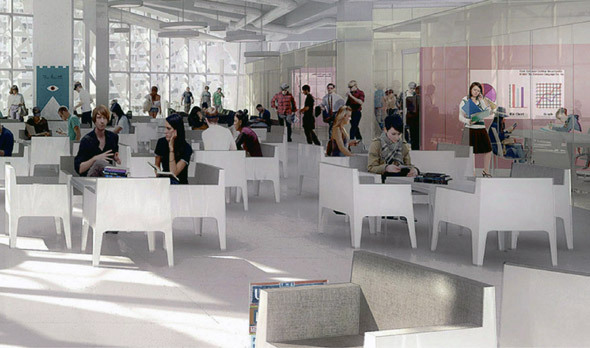 Although it clearly breaks with the three-storey storefronts that line the stretch of Yonge to the immediate north, one suspects that, if anything, the arrival of the Student Centre will help to improve the possibility of further revitalizing this most important corridor. 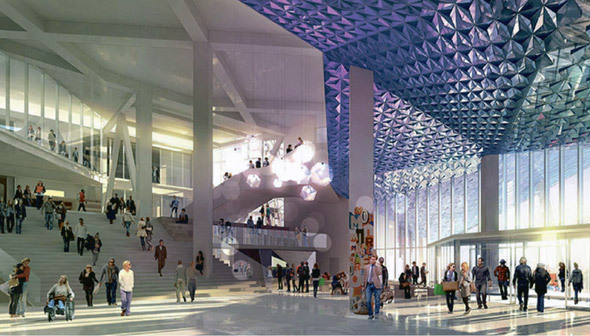 Read more from the Star here, and check out the renderings below.